State Sen. Paul Bettencourt faced fierce bipartisan opposition from his finance committee colleagues Tuesday over his bill that aims to curb the growth in property tax bills for Texas property owners. Committee members also sparred with witnesses who signed up to speak in favor of Bettencourt’s Senate Bill 2. “This is a rough crowd,” said Sen. Jane Nelson, R-Flower Mound, who chairs the finance committee. The contentious bill would force local governments to hold elections if the amount of tax revenues they want to collect increase by a certain amount. It would also change the makeup of many of the boards that oversee appraisal districts that determine property values and the panels that decide landowners’ appeals of appraisals. “It is a way to slow the growth of government and a way to slow the growth of tax bills,” said Bettencourt, a Houston Republican. State Rep. Dennis Bonnen, R-Angleton, has filed legislation similar to Senate Bill 2 in the House, but a hearing hasn't yet been set. The Senate Finance Committee heard more than six hours of testimony that stretched into late Tuesday. 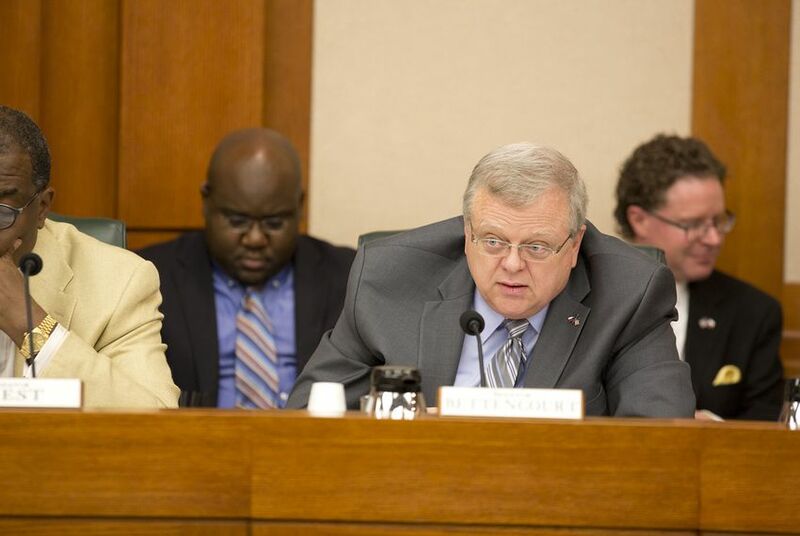 Some critics Tuesday morning focused on how Bettencourt's bill doesn’t touch on efforts to redesign how the state pays for education. Opponents say that prevents the bill from significantly lowering property tax bills since most of what landowners pay go to school districts. 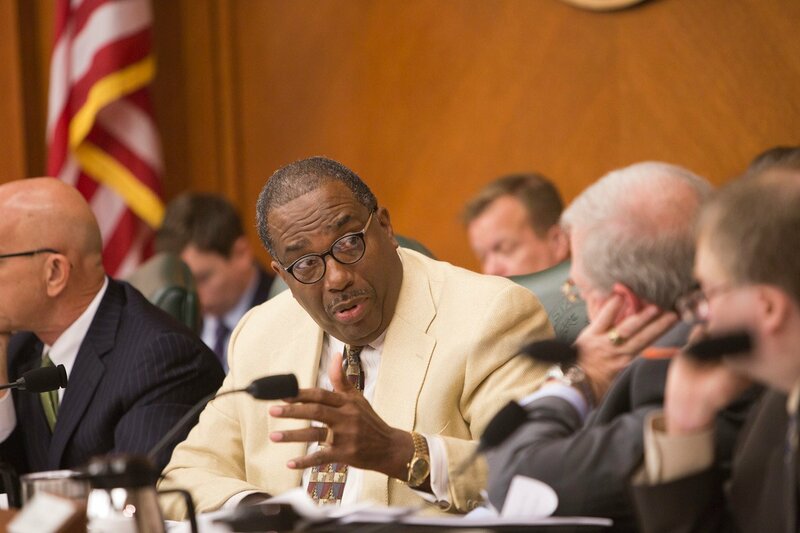 State Sen. Royce West, D-Dallas, repeatedly questioned Bettencourt about that until the author of Senate Bill 2 conceded the point. "Sure, let's recognize the obvious,” Bettencourt said. Another point of debate was about local control, the question of when the state should get involved in how local governments are run. There are a bevy of fights over local control brewing this legislative session, with some mayors saying the state is undermining what’s best for their cities. When it comes to local tax rates, many finance committee members on Tuesday appeared prone to let local governments decide that issue. “Why do you continue to attack local governments when they’re some of our best, brightest and most dedicated public servants?” state Sen. John Whitmire, D-Houston, asked Bettencourt. Currently, an 8-percent property tax increase or higher allows voters in a city or county to gather signatures to call for an election on the new rate. Bettencourt’s bill would lower that threshold to 4 percent and would require an automatic election. But the current and proposed thresholds aren't based entirely on the actual tax rate, which is the amount per $100 of property value that a government entity levies against landowners. Instead, the formulas focus on how much tax revenue a local entity receives from properties from one year to the next. So a city or county could hit the threshold for an election without changing its tax rate if there was a significant increase in local property values. Fort Worth Mayor Betsy Price was among a litany of city officials opposed to the bill Tuesday, arguing it would hamstring local officials' ability to provide services and maintain infrastructure. She said that voters can hold officials accountable for making poor financial decisions during city council elections. “They can vote us out of office just as they can you,” she said. 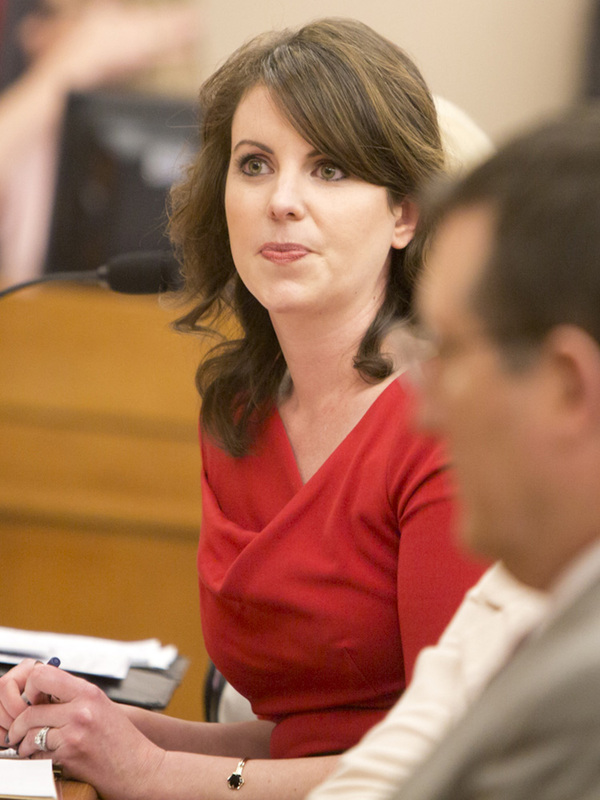 But Austin City Council member Ellen Troxclair, who supports the bill, said it would actually provides more local control by putting more power over tax rates in the hands of voters. Troxclair said she knows a woman who wanted to buy a condo in Austin, but decided against it out of fear that she wouldn’t be able to later afford rising property taxes. “She was scraping together everything she had to begin with,” Troxclair said. Whitmire peppered Troxclair with questions about what she would cut from Austin's budget to account for slower property revenue growth. State Sen. Kel Seliger, R-Amarillo, asked her to what degree the state should limit what city officials can charge residents for things like utilities and transit. Troxclair said Senate Bill 2 wouldn’t limit property tax collections, just allow voters to weigh in when they exceed a certain threshold. Troxclair also said that the state created cities and that city officials serve at the pleasure of the state. That comment brought audible gasps from the audience. “You serve at the pleasure of the taxpayers,” Seliger quickly and fiercely countered. Catherine Morse, an attorney for Samsung Austin Semiconductor, warned that high property taxes could force companies to relocate to other states. Whitmire said the infrastructure her company needs to be profitable was paid for by the government and asked if she’d rather pay property taxes or a state income tax. “There’s no free lunch,” he said. Morse said she wasn’t there to answer whether property taxes are preferable to state income tax, but Whitmire repeated his question several times. “I don’t think you’re being fair,” Morse said. “I think I’m being abundantly fair,” he said. A threat to public safety? Much of the opposition to the bill centered around city officials’ contentions that slowing property tax collections could lead to cuts in city services – including pay for police officers and firefighters. They argued that could further erode the tax bases of cities. “Crime is a deterrent to growth and economic development,” said San Antonio Police Chief William McManus. Supporters of the bill, though, took issue with that argument, countering that cities should always budget for such crucial expenses first. Galveston County tax assessor-collector Cheryl Johnson said that big cities would not have seen significant budget cuts this year if the bill was already law. And, she said, it would be irresponsible for city councils to go to police and fire costs first when trimming spending. “They should be thrown out of office,” she said.